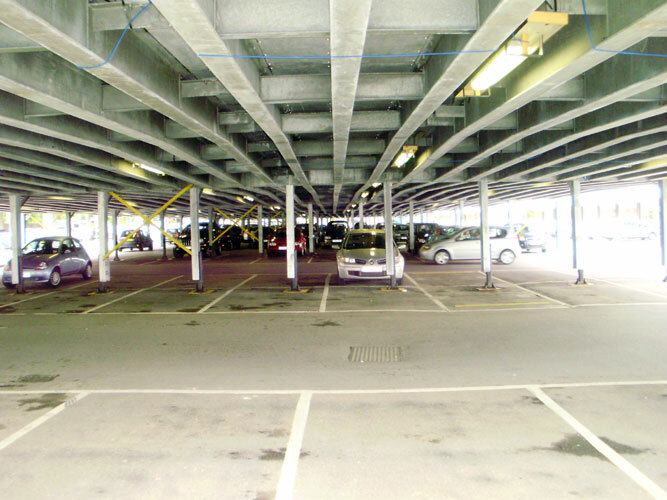 The deck of our car park structures must be level, however we can accommodate a site such as Merthyr Tydfil which had a fall of over 1500 mm over its length. 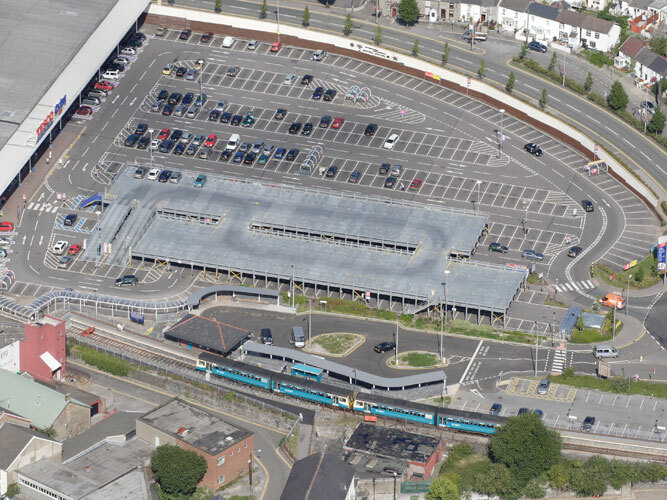 The solution for Merthyr Tydfil required two structures and two bridge sections spanning a two metre wide public footpath. 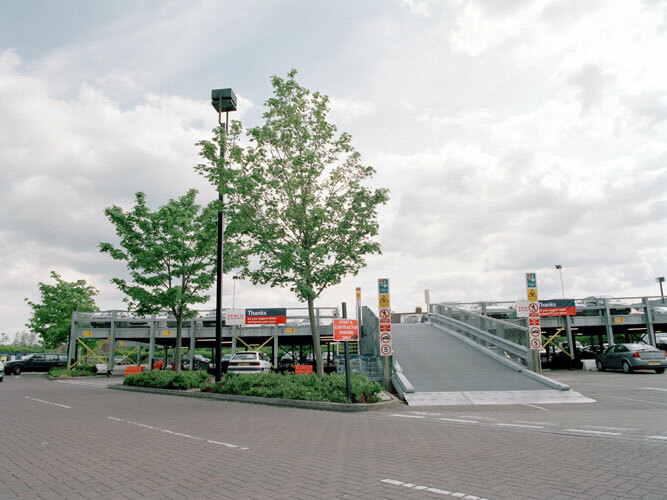 This was a short stay retail car park and the traffic route on the deck can be easily made out. 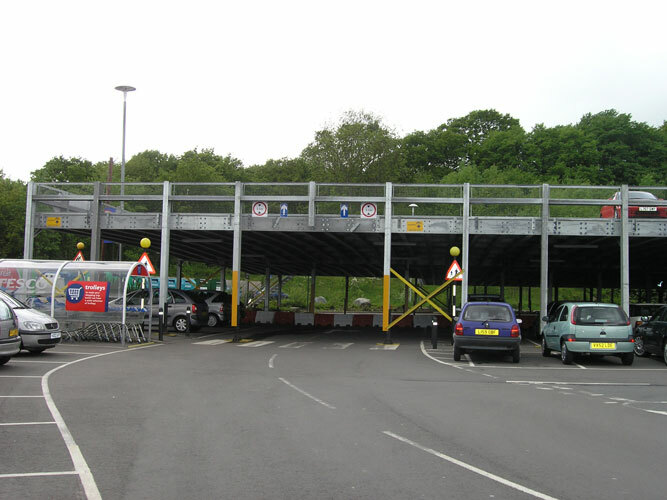 The side view of the structure at Yeovil shows how a de-mountable, temporary solution can look substantial, permanent and safe. The main benefits of our system is the minimal disruption due to the speed of assembly, the versatility of its modular construction, our experience, knowledge, patented design and foundations are not normally required. When the upper deck is being used for a low traffic scenario, non-public or designated use it is advantageous to have only one ramp. This option obviously saves on cost and the number of spaces lost on the ground floor. The ramps normally have a gradient of less than one in six. The ramp surface is serrated grating so is not suitable for pedestrians. Suitable signs are displayed at the bottom and top. 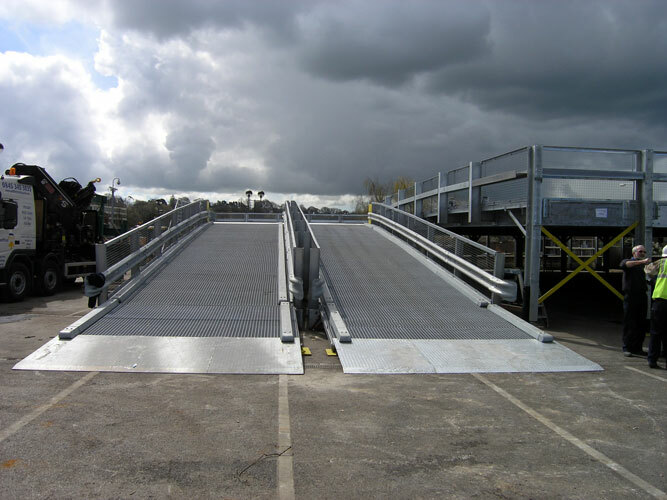 If the upper deck is for public or heavy use we would normally provide separate up and down ramps. The ramps normally have a gradient of less than one in six. The ramp surface is serrated grating hence it is not suitable for pedestrians. Suitable signs are displayed at the bottom and top. Pedestrian access is normally by stairs. 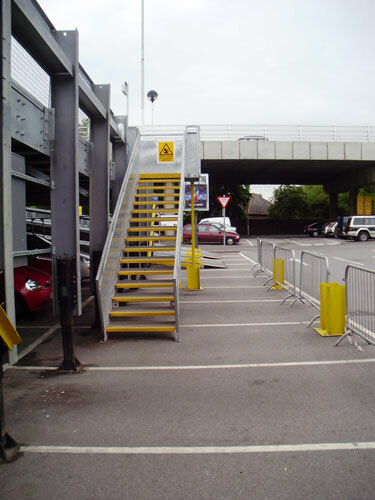 We provide steel bollard protection if the stairs enter into traffic areas, and we can provide DDA compliant stairs or special pedestrian ramps to suit the customer's requirements. To gain access through the side of the structure we are able to remove an individual leg and replace it with a bridge beam. This facility is used to provide through passage on the ground level when the structure creates a cul-de-sac situation on the ground level. We normally provide waterproof fluorescent lighting with an emergency provision to suit the purpose. With shorter term hires the light fittings are PAT tested and pre wired with plugs for swift assembly. 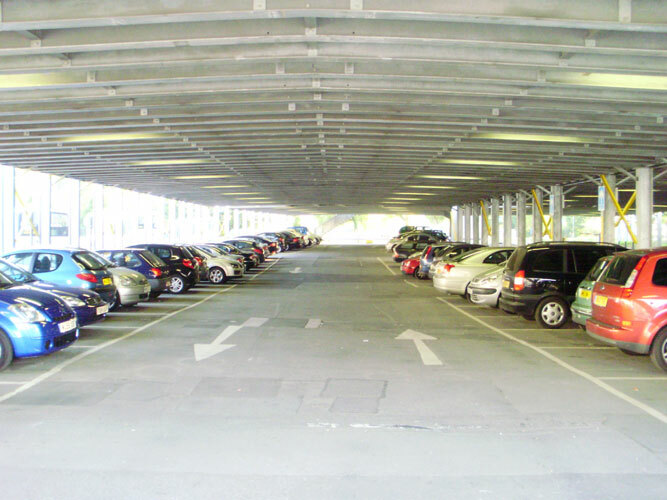 Alternatively with longer term hires lighting can be installed on site using conduit or trunking. 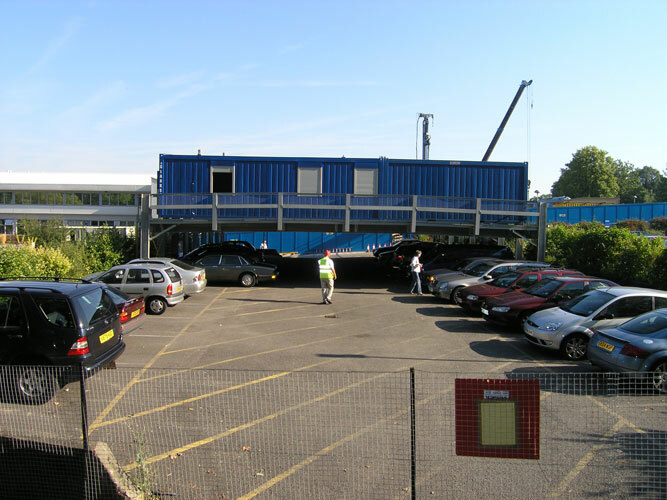 Our Patented Modular Platform normally has a clear open span of 15 or 15.6 Metres. This completely open area has no middle supports, legs, stanchions or braces. 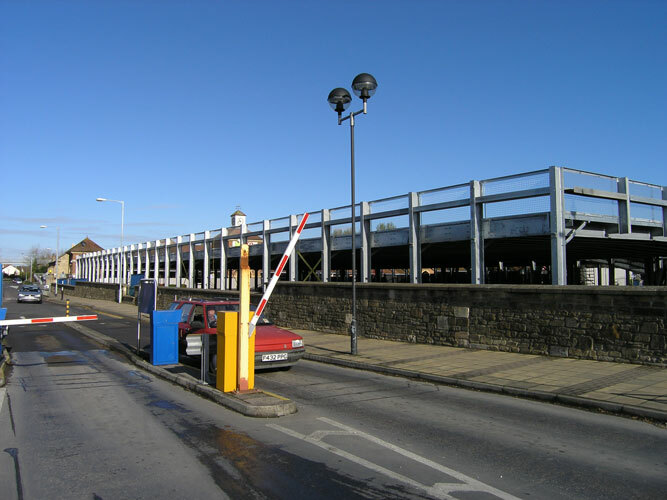 The original concept of Another Level Car Parks was to provide a modular platform to position construction site accommodation above land locked city centre car parks. 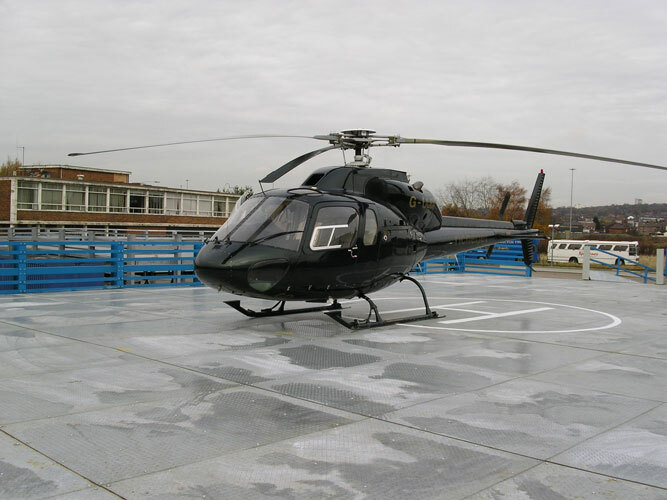 A helicopter landing on one of our prototype units provided a great photo opportunity. We can replicate this anywhere.